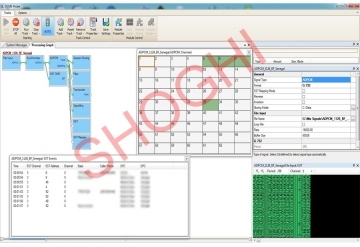 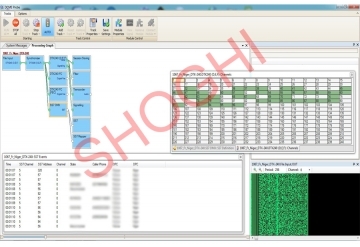 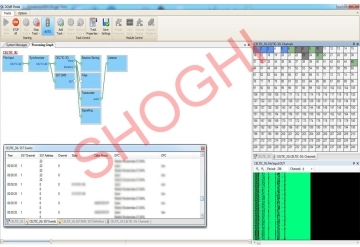 DCME Analysis System (SCL-DAS) is a software based application, which is designed to classify, process and decompressed the compressed signals transmitted over the satellite links. 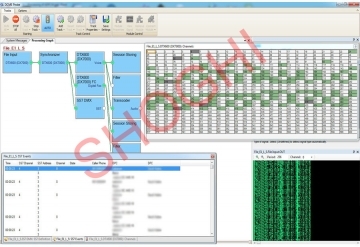 The DCME classification Module acquires 5000KB data and performs the signature analysis to automatically classify the type of compression scheme and DCME hardware device used by the targeted network. 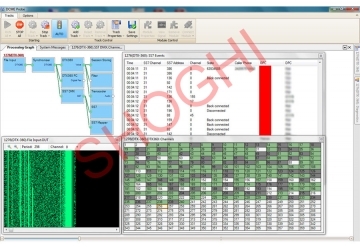 After successful detection of DCME hardware device type used the SCL-DAS automatically decompresses the bearer stream and provides its decompressed output to channels. 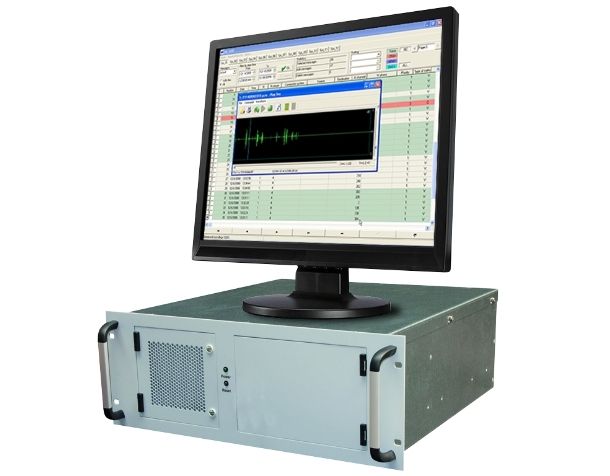 Communication on any one channel can be listened by the operator while the communication on rest of channels will be recorded on the hard disk of the system. 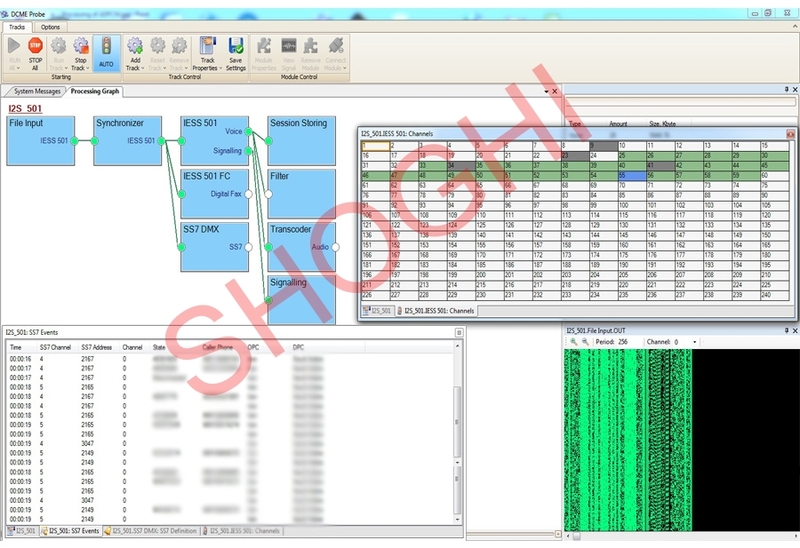 SCL-DAS supports most of the commercially available DCMEs including PCM, ADPCM, DX-3000, DX-7000, DTX-600, DTX-360, DTX-240 (D,E,F,T), CELTIC-3G, OKI TC-2000 etc. While processing the compressed/normal E1 carrier, the SCL-DAS provides the processed intelligible output in the form of Voice and Fax along with Originating Point Country, Destination Point Country, Outgoing Number, Incoming Number etc. Automatically determines the compression scheme used classifies by mentioning either PCM, ADPCM, DX-3000, DX-7000, DTX-600, DTX-360, DTX-240 (D,E,F,T CELTIC-3G, OKITC-200) etc. Automatic classification and decompression of compression schemes used by target network. After decompression it provides voice and fax sessions according to energy level along with the signalling C5, R1, R2 etc.